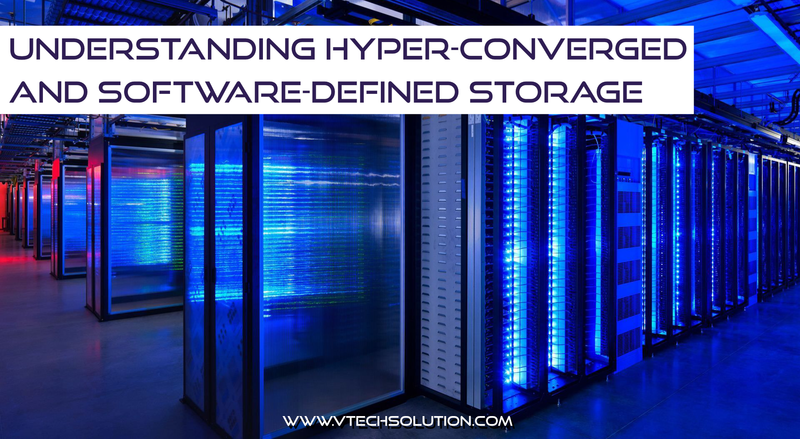 Often confused, Hyperconverged Infrastructure (HCI) and Software-defined Storage (SDS) are both “software-defined” infrastructure solutions abstracting storage from the underlying hardware. Both solutions utilize the same commodity servers and work perfectly with virtualization. However, there are strong underlying distinctions between the two solutions. It all boils down to the way you want your storage managed and whether you wish to utilize open-source software on commodity hardware or a proprietary software to manage the infrastructure. 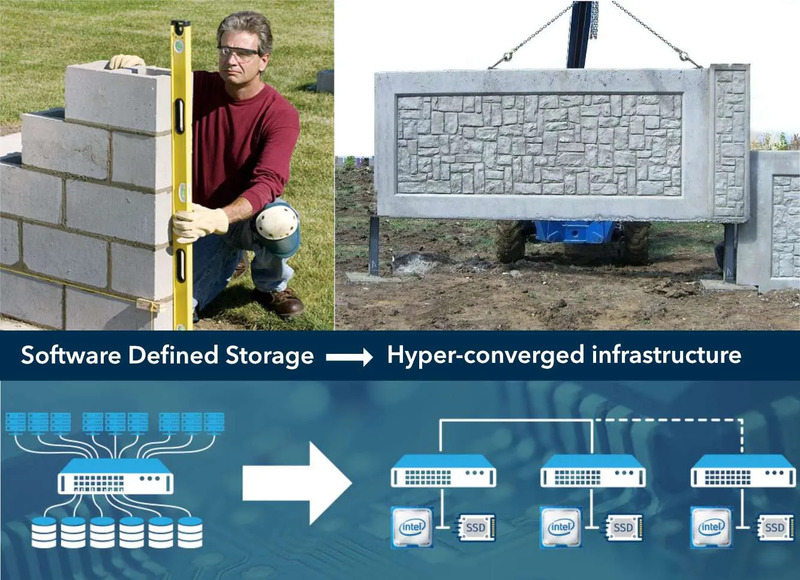 Think of SDS infrastructure as the brick and mortar for building a wall that you plan to keep scaling, Hyperconvergence would be the precast concrete wall panels, that you can easily add if you want to scale that wall quickly and without estimating and sourcing specific components or hiring highly specialized resources. Vendors, analysts and even seasoned IT professionals are often confused distinguishing HCI & SDS solutions apart. 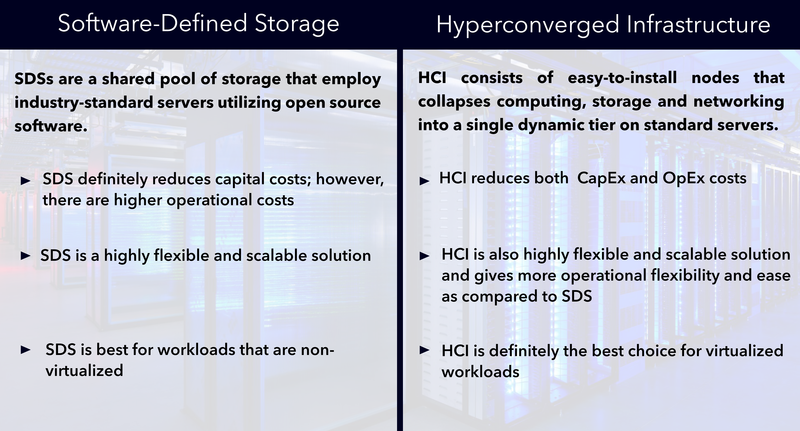 Simply put, HCI consists of easy to install nodes that collapses computing, storage and storage networking into a single dynamic tier on standard servers, integrating the same for virtual machines (VMs) and creating a dynamic infrastructure that’s easy to manage and provision, thus, effectively eliminating the single biggest challenge of scalability and storage resources management as the demand grow. Hyperconvergence eliminates the need for specialized storage specialists as its infrastructure combines compute, memory and storage into a single platform that makes storage available natively within the hypervisor, making it easy to add capacity and scale. Hyperconvergence is more than just storage, it’s about ease and accessibility of managing just the VM without worrying about the resource management within a cluster. Everything that needs to be managed can done even by an IT generalist through a single console. Just like Johnny Depp’s character, Software-Defined Storage or SDS can take several forms, however, the most prominent one, or the ‘jack sparrow’ if you may, is the infrastructure that creates a shared pool of storage with commodity servers with a software layer showing it as a native storage objects, commonly reffered as LUNs or Volumes. SDS utilizes open source software creating a shared pool of storage using industry-standard servers, freeing you from legacy storage arrays, or masks them underneath a software layer. The storage objects are presented as native files or blocks capable of supporting bare metal or virtualized workloads. Management of storage, system performance, capacity and availability are done through the SDS Interface, while the compute resources are managed through the hypervisor interface. SDS or HCI, Which One Should You Choose? The two architectures have different implications on cost, flexibility and also type of work. It is important to understand the key differences before we chose one over the other. Software Defined Storage definitely reduces capital costs as most solutions run on industry-standard hardware, and you don’t have to spend on expensive storage array hardware, with relatively easy scalability by adding more disks to a node. The major cost factors are the overheads of managing the storage itself, by hiring storage specialists and sourcing individual resources. Hyperconvergence, on the other hand, reduces both CapEx and OpEx costs similar to SDS and can utilize industry-standard hardware and cut capital costs by, as much as, 70 to 80 percent compared to traditional three-tier infrastructure. However, you might end up paying miscellaneous costs and hidden taxes. Considering it helps in removing compute and storage resources overstocking, it is still a good bet. Both SDS and HCI are highly flexible software-defined solutions, allowing you to add capacity or upgrade at your pace. HCI, however, provides more operational flexibility and ease, with even an IT generalist managing it all. How Can Workloads Be Managed? HCI is definitely the best choice for virtualized workloads, delivering excellent results, whether you are refreshing your infrastructure for an existing virtual environment or starting a new project. SDS, on the other hand, are best for workloads that are non-virtualized, like data collection apps running in edge environments or databases that require a direct connection to storage. considering all your current and future requirements and strategizing the best plan for maximum growth and competitive success. Need Help Setting up your Ideal IT Infrastructure? Our managed IT services can handle all your IT needs. 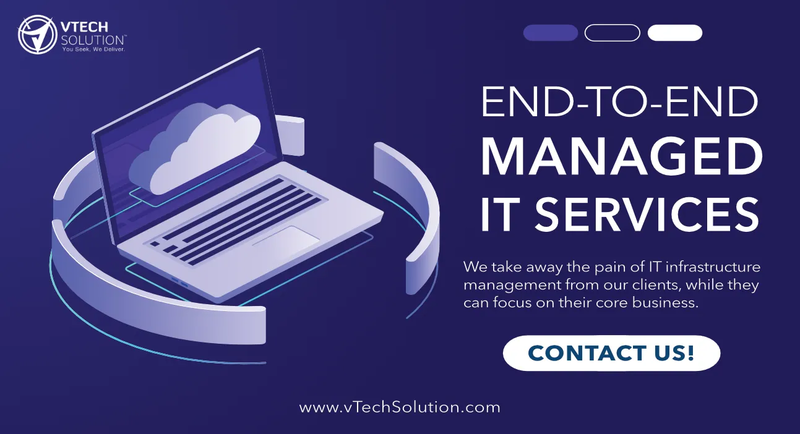 Whether you need outsourced IT services, on-site IT support, network management, cloud services, or simple help desk level IT support vTech has you covered. We offer executive level, white glove IT service with flexible pricing and Unparalleled support 24/7/365. If you need more information, or you need to get started with the process of setting up your own IT Infrastructure or Hybrid Cloud environment, please contact our experts. They would be happy to talk with you and answer all your questions.